Occupied tenant improvements calls for flexible and reliable construction management. 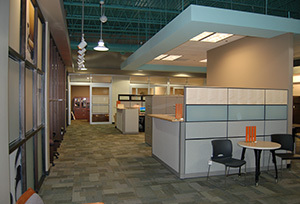 At McGuinness and Company, we understand how important your tenant is to you and how disruptive construction can be. This is why we work directly with the tenant to maintain an open dialogue - explaining all the aspects of the improvement process and creating a schedule around their normal operating hours in order to minimize disruption.